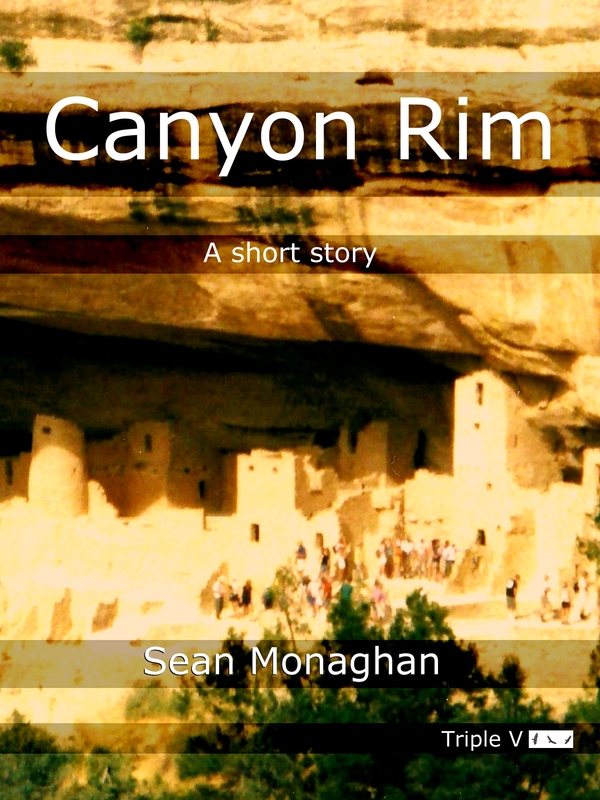 Perhaps in a little contradiction to my posts over the last couple of days, I’ve put my literary story “Canyon Rim” up through Triple V. The story is not pulp. It is literary, as much as I write literary pieces. There is a story to it (a man’s search for safety), but it is perhaps as much an exercise in voice. It’s written with a focus on language and rhythm. Have I succeeded? I hope so. I tutor for a university course in literary fiction and some of the tenents include ideas such as “fiction’s only rule is that it must compel the reader”. As a literary course, it’s focus is as much on language as on story – the idea that we do thirst for language and that the nuances of skilled writers can tantalise and draw us forward with deft and bold touches. I do admire literary writers and their skill with language. Too often, though, it seems that the cleverness with language becomes too much the concern and that compelling aspect is lost (on me, at least). I like a balance: strong and articulate language that remains readable, with a true story and engaging characters. Canyon Rim is perhaps as close as I will come with literary works, though I have a few others up my sleeve that will likely show up over time. Squeezed out in between the pulp (if that makes any sense). Ernie Freiden had been born to a Canadian father and an Australian mother. Both had been vacationing through the national parks of Utah and Colorado when they met in 1982. Shirley had quickly abandoned the German tourist she’d been traveling with, and taken up with Thomas, in Moab, near Arches National Park. The German, Shirley later told Ernie, though through into his adult life he heard different and increasingly unlikely versions of the story, had flown back to Germany, almost immediately, and years later had been crushed to death in a museum accident by a part of the Berlin wall he was helping to put on display after the reunification. Thomas, Ernie’s father, had quickly (though not as quickly as the German’s departure from U.S. soil) had his name abbreviated to Tom, and complained little about that, after all Shirley was as decisive a woman as Tom had ever encountered and what was a slight adjustment to his name in comparison to her company? The story is scheduled for publication in the Static Movement anthology Sleepwalkin’ and Picklockin’ sometime in 2012 and I’m grateful to editor Chris Bartholomew for releasing it to Triple V so it might garner a few readers in the meantime. This entry was posted in fiction and tagged literary fiction, mesa verde, short story, static movement, triple v publishing on 11 January, 2012 by Sean Monaghan.